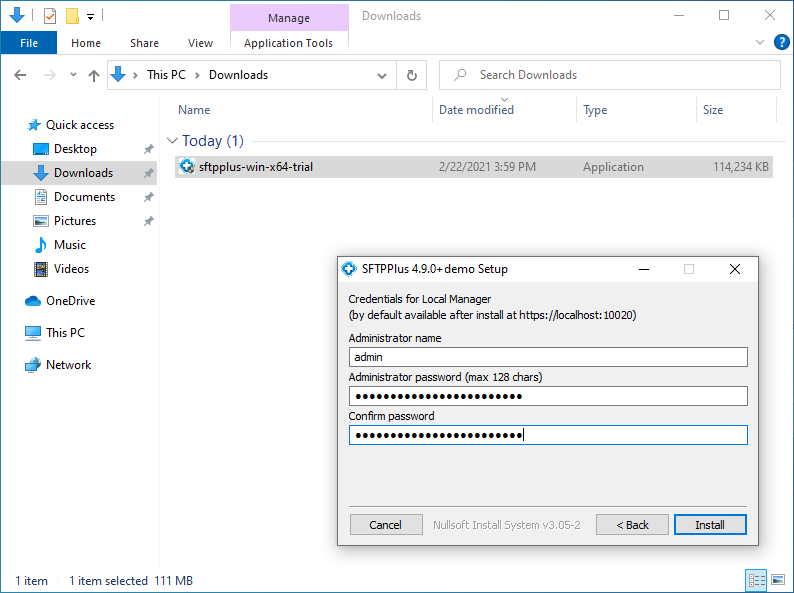 Getting started with SFTPPlus on Windows. Switch to the Linux guide? Go to the SFTPPlus package and launch the installer. Follow the steps to complete the installation. Once successfully installed, a new shortcut is added to the Windows menu. Look for SFTPPlus Local Manager and launch it. This shortcut will start the SFTPPlus Local Manager which is the web-based administration panel. 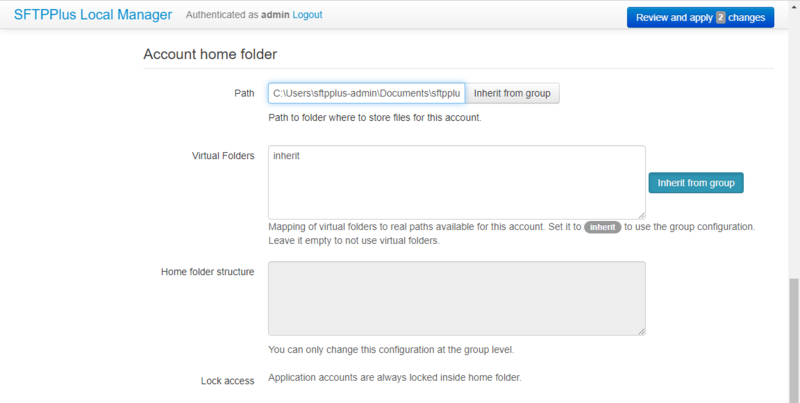 The SFTPPlus Local Manager comes with a default administration account. The username is admin and the password is pass. Use the credentials to login before proceeding with the next step. The default configuration also provides a test account test_user with the password test_password. To enable this account, find the Accounts section and click on the test_user. Enable the file transfer automations. Next, click Review and apply to load the changes. To start the new transfer, go to the Status section and find the list of available transfers. You should be able to start the transfer from there. The transfer automation will move any uploaded files from its source location (in our case the account home folder) to the destination folder shortly after the uploads complete. SFTPPlus will log any errors and will retry a couple of times in case of failures. 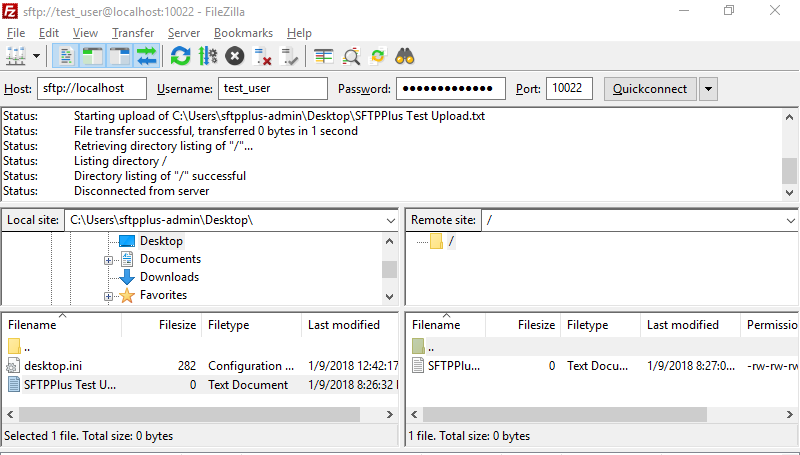 To test the automation, use the SFTP client to upload a new file. Every uploaded file will be moved to the new destination path. This guide is complete. We would like to thank you for your time. SFTPPlus comes with free support during the trial period. If you have questions or feedback, we would like to hear from you.